You’ve heard of the Sand Man. Meet his counterpart, the Sand Maiden. Alissandra thrills to help her human charges make sense of thoughts that need refinement, problems that need solutions, worries that beg for action, and things they should or shouldn’t have said, as she weaves their dreams. She’s been doing it her entire immortal existence. But when the most powerful king You’ve heard of the Sand Man. Meet his counterpart, the Sand Maiden. Alissandra thrills to help her human charges make sense of thoughts that need refinement, problems that need solutions, worries that beg for action, and things they should or shouldn’t have said, as she weaves their dreams. She’s been doing it her entire immortal existence. But when the most powerful king in Dream realm sets his sights on her current charge, Prince Kovis Altairn, to exploit him in his quest to conquer Wake realm, Ali has no choice but to flee and pray the sovereign doesn’t hunt her down. In this, the first in a three book series, Ali’s arrival isn’t applauded by some and she finds herself caught in a political game that may silence her before she can begin to defend Wake. All the while, she sees signs that the power-hungry Dream king is pursuing her. What will happen if he finds her? Prince Kovis Altairn, crown prince and the most powerful sorcerer in the Altairn Empire, knows nothing about Dream realm, let alone his sand maiden. So when Ali is discovered naked in his bedroom, how will she convince him of her intentions, as well as the danger? 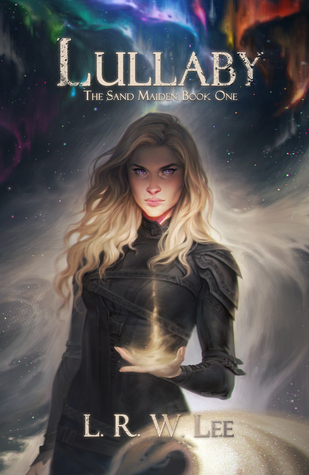 The Sand Maiden is a four-book NA Epic Fantasy Romance series with YA appeal. If you loved Sarah J. Maas’ A Court of Thorns and Roses, Elise Kova’s Air Awakens, and/or Rachel E. Carter’s The Black Mage you’ll definitely love this.